Have you ever wanted to be a writer? If you're like I was before 2008, your answer is no. From childhood forward, the only thing I wanted to do with my life was to be a policeman. But I already told you some of that story in a previous post. I never wanted to be a writer; I didn't even read books much unless I had to for school or something. I have always just wanted to be a cop. And for those of you who are cops, you might get a little bored with this post unless you're interested in writing. But stick around, there's an announcement I'd like you to know about. In 2008, I had been a police officer in Las Vegas for sixteen years, nine of those as a detective. I was working as a detective in a unit called the Repeat Offender Program. We deal with the worst criminals Las Vegas has to offer. I led an investigation into the most prolific criminal I had ever encountered, Daimon Monroe. The investigation led to the recovery of several millions in stolen property, and the seizure of several hundreds of thousands of dollars in bank accounts. Information also came to light showing that Monroe had sexually abused his daughters. Many unpredictable things that happened during the investigation, including the shocking discovery that Monroe was trying to have me, a judge and a prosecutor murdered. No cop I know had ever seen anything like it. After these events took place, I knew someone needed to write a book and tell the public about it. The local news media and even some regional outlets picked the story up, but they didn't have the inside scoop like I did. They hadn't been there to witness and live through every important detail. I spoke with my father-in-law, a university professor, who suggested the person to write a book about it should be me. At first blush, I laughed. How silly. I didn't know a thing about writing a book. I had some writing ability and some formal training back during my college days, but to write a book?--that's an entirely different thing. 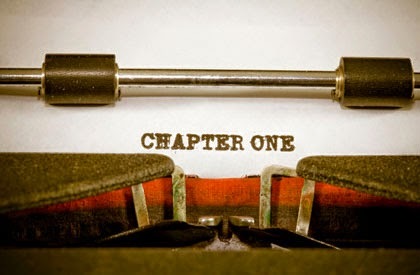 Do you know how many books get written, bought and read through the first couple of chapters, only never to be picked up again? For me, I try to do things that have purpose. I am always seeking purpose in things and try to live deliberately. I'm probably too serious most of the time and need to lighten up a bit. But what's the purpose of writing a book that doesn't keep readers up late with the reading light on? I knew I didn't have that kind of writing skill, but I also knew there was no possible way anyone could write the story like I could--I was the lead detective with a birds-eye view. After praying about it for a few days, it came down to one remaining question: why? If I wrote this book, what would be my motivation? What did I want out of it? Funny enough, the answer then and still today has nothing to do with financial gain, prestige, or anything centered around me. No, my motivation is to tell people a harrowing and very personal story of greed, lust for power, horror, justice, love and redemption. It's something where I think readers will find a few parallels with their own lives that bring meaning and understanding, maybe even in the midst of hardship and destruction. I'm not chasing dollars with my writing and that's a good thing. Many writers who do it full-time, struggle to keep their bills paid--it's a tough business unless they're one of the most popular in their genre. I have the luxury of doing it not to pay bills, but because there's passion. If my writing makes a few bucks, great--I like paying bills. But the more important thing with success would hopefully be that large numbers of people read the story, found the takeaway, and found it meaningful for their own lives. After coming to that understanding, it wasn't a decision anymore, I couldn't not write the book. It was a commitment that despite some really difficult times where I wanted to quit, I couldn't. I began by writing down everything I knew about the case. Every little detail went into what a few months later ended up a 186,000 word, first-draft manuscript. For those that don't write, just know that's a monster. Depending upon font and page size, that would be somewhere around a 500-page book. Those don't get published much anymore and even fewer get read. One thing quickly emerged: there was no doubt that the title of the book would be Repeat Offender. When a writer is preparing to write a book, especially a non-fiction book, an enormous amount of research must be done to present a factual account of the subject. That wasn't terribly difficult, I had lived and toiled through the entire story line. But in fact, there was so much information, I had forgotten a lot of the details in the case. I made public records requests through the courts to get old documents--many of them I had written myself--to refresh my memory of how events took place. In the end, the research and writing of the manuscript made me a better witness in court, because my memory was organized and reinforced. At the same time, I began to read everything I could get my hands on about the publishing industry--how it works, what the different entities are and how they function. I bought The Complete Idiot's Guide to Getting Published, 4th Edition, and read it in two days. Google provided a wealth of material about ghostwriters, literary agents, editors, publishers, and thankfully, a long list of scams in the industry where predators lurk, waiting to cash in on new writers trying to learn the ropes. 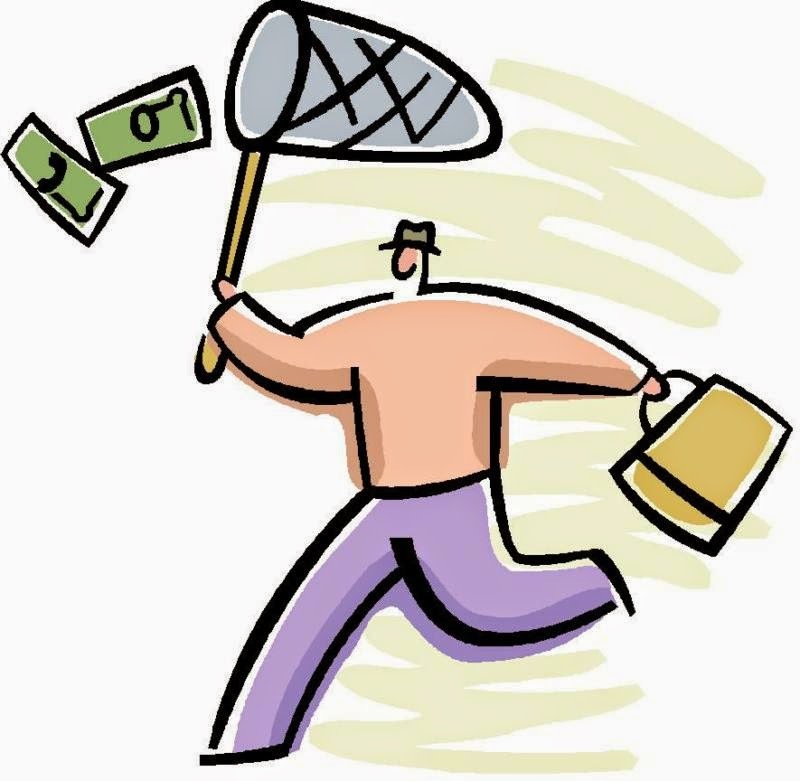 I learned to watch out for some publishers and ghostwriters who want a fat check from the writer before they do their jobs and never really put much skin in the game. From there, I began to grow and understand what the writing industry looked like behind the curtain--what it takes to go from an idea to a bookshelf. It exposed me to what the advent of e-publishing and the explosion of self publishing has done to the book industry. I also learned how difficult the prospect of having any real success with self publishing is. Hundreds of thousands of self published titles hit the industry each year, many of them good, but many more of them not so good. 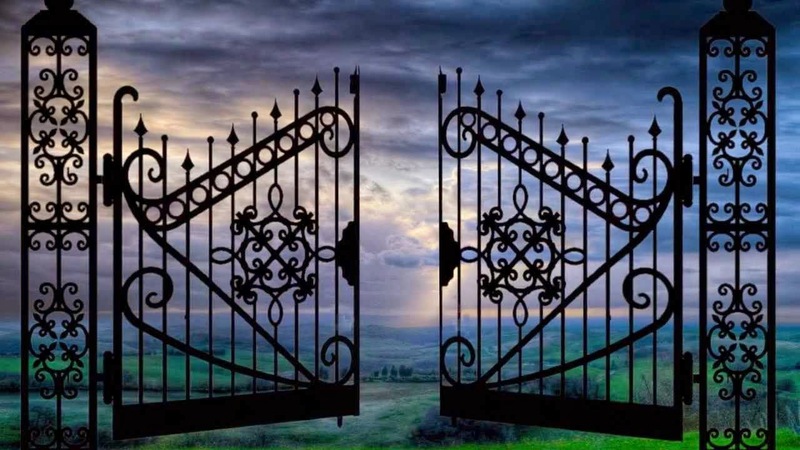 The traditional publishing industry has some natural obstacles in place--such as literary agents who operate as freelance gatekeepers to the publishing houses--that prevent undeveloped writing from being published. The self publishing industry has no such obstacles, which brings about overpopulation and an expected result: great writing can easily get lost in the ocean of self published works. I quickly recognized that my writing wasn't good enough. I wrote with good grammar, punctuation, organization and pace, but some of the most important parts of good writing weren't there. My manuscript was one big, long, boring, newspaper article devoid of emotion, drama, tension and release, no real character development, no feelings and no emotional investment from the reader. If the reader wasn't someone already invested in the story or a personal friend or relative of mine, they probably wouldn't read it past the first few chapters. 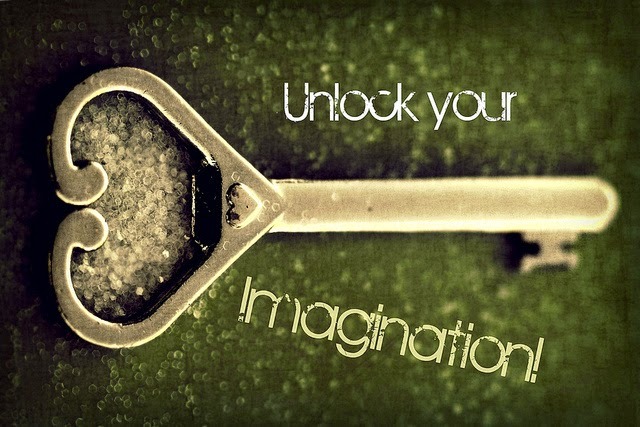 Readers give writers the keys to their imaginations, their dreams, and their fears. They expect us to not disappoint them. As a writer, if you disappoint a reader just one time, you stand a good chance to have lost them for good. I enlisted the help of a co-author, Warren Jamison, who operated as a backstop, an editor, and a writing coach. I continued to grow and learn how to work with plot, pitch, theme, premise, dramatic tension, foreshadowing, conflict, dialogue, and the return (proof to the reader that finishing the story was worth it). I wrote and Warren edited. I wrote and I edited. I wrote and wrote and rewrote. And I learned. After the second rewrite of my manuscript, I was introduced by a friend of a friend to a well-respected literary agent with a tough reputation, Chip MacGregor. I gave Chip a synopsis of the story behind Repeat Offender, and a couple of sample chapters. From day one, Chip said, "You've got a great story there Brad, but the writing needs work." He gave a few pointers, wished me luck, and probably figured that would be the end of it; he probably thought I wasn't determined to see it to the end. Writing...really writing for public consumption is a difficult thing to do and even harder to do well. Rejection is a common occurrence, but by this time, I had begun developing a passion for it. Rejection became fuel to get better. I had something to prove to myself. Many times during my life, I have heard people speak about writing as an art form. I never bought in to that artsy-fartsy idea. "Come on...writers write stuff, they don't make something that can go in a museum. They don't paint a masterpiece." What little did I know. I worked with professional writer and editor, Andy Meisenheimer, who helped me to better show the readers things with my writing rather than to tell them. Andy helped me see things that needed to stay in the story, and what needed to go. Andy's a master at bringing pin-point attention and weeding out distraction. At one point, Andy said, "You're giving me too much frosting and I need more cake." With the scenes I had already written and put into the manuscript, they were my babies. I was protective of them and you would never be able to pry them from my hands because some of them were so painstakingly difficult to construct in the first place. Andy helped me learn how to release a lot of that and I was eventually able to pare the manuscript down to about 120,000 words--still a fatty to most publishers. After telling me how backwards I was by trying to learn how to write in the middle of a huge writing project, Andy suggested, no, he challenged me to start reading a few really good writers, and to watch for their style to emerge, and look for methods they use to draw readers into the story. I read the Jon Krakauer NY Times Bestselling titles Into the Wild and Under the Banner of Heaven. I tore through the true crime classic, The Onion Field by Joseph Wambaugh. I probably learned more about writing from these three books than anything else because I read them with a different eye than I had read anything before. I read them with my eye on the writing, not on the story. I read a few unpublished manuscripts and advance reading copies from other writers I had met, including William Beck's Caribbean Agenda, Dane Batty's Wanted: Gentleman Bank Robber, and Julie Dolcemaschio's Testarossa, and I'm continuing to read today, having finished NY Times Bestsellers Steve Jackson's Bogeyman, and Caitlin Rother's Twisted Triangle. I'm just now starting Ron Franscell's Delivered from Evil. I've learned that being a good writer isn't a destination, it's a journey. Yeah, that's cliché, and violates a popular rule to good writing, I know. But it's true! If I'm going to be a good, no, a great writer, it doesn't happen with one good book and then it sticks around forever. It's something that must be nurtured and fed and developed and maintained. After working with Andy, Chip MacGregor said, "Brad, your writing has caught up with your story." To me, that was a big deal. From the first day I put words on paper to the day Chip said that was a little over four years. A bonafide gatekeeper welcomed me into the sanctum. Up to that time, I had rewritten or massively overhauled my manuscript close to twenty times. I learned very clearly, that writing is an art; it's like sculpting. A writer starts with a big block of material, and slowly molds and cuts and peels and scrapes away. A writer patches and smoothens, flattens and straightens. A writer takes something that had no form or hope of being interesting, and shapes it into something that builds a pathway into the imagination of the reader. If successful, the writer might even get more one-on-one time out of a reader than the reader gives to his or her family--sad to say, but true and very weighty. At that point, the manuscript wasn't done, it had only graduated into a class where it had promise. I worked with professional writer and editor, Holly Lorincz, to put the final layers of polish on and really bring the best work forward. Holly did a really good line edit on the manuscript and provided good information for me to work on character development as well. By the end of our collaboration, the manuscript had been winnowed down to about 106,000 words. Something I didn't tell you is, having a good story and good writing are only two of three things a publisher looks for when considering a writer's work. The third element is platform. I had questions to ask myself: "Why would anyone pick me, an unknown, out of the crowd of writers to read?" "What makes me an expert on what I'm writing about?" and "What makes my writing stand apart?" If a writer has two of the three things publishers look for--good story, good writing, and platform--they stand a decent chance of getting published. If they have all three, the chances rise enormously. To get an audience, or to have a platform, people need to know who you are and why they should read what you say. 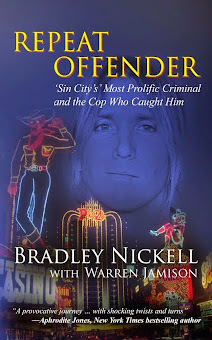 As I wrote the manuscript for Repeat Offender, in 2009, I began developing a presence as a writer on social media, my own website and as of a couple months ago, I started my own blog that you're reading right now. I developed good relationships with the editors of a few national law enforcement magazines and I've written full-length features for them. I’m recognized as a contributor to POLICE Magazine and American COP Magazine, both of which have a heavy footprint in the law enforcement world with digital and print versions reaching tens of thousands of paid subscribers and hundreds of thousands of web readers. Chip and I spent the past two years trying to get the book a publishing contract with one of the few remaining major publishers, or one of their imprints, and it has been tough. Chip isn't accustomed to rejection much anymore because he's experienced and known in the industry as top-notch. When Chip brings something to the table, it usually finds a publisher. But the book industry is still experiencing great turmoil with massive brick-and-mortar international chains like Borders and Waldenbooks going out of business. Unless you’re already famous or have an exclusive Bin Laden story, getting a contract with a major publishing house is next to impossible right now, especially for a first-time author. Even further difficulty is added when you understand that the true crime genre is hurting. True crime fans are spending their time watching any of the many true crime shows on television. There are entire cable networks focused on bringing true crime shows to this group of people that used to read books more. Even some of the more famous true crime writers are struggling to sell their books. If you're not at the top of that pile, major publishers are seeing more risk than they're willing to take. After a dozen publishers declined to offer a contract, Chip approached an old friend, NY Times Bestseller Steve Jackson. Yes, that's the same Steve Jackson I mentioned before. Steve had started up his own independent press, WildBlue Press, with his longtime friend and partner, Michael Cordova. 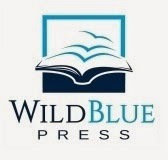 WildBlue Press has put together a consortium of experienced, award-winning, and best-selling authors who will be publishing their works out from under the difficult and sometimes unrewarding umbrella of big publishing houses. Big publishers want almost all control and aren't always the best at sharing the fruits of the labor. 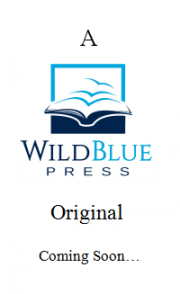 WildBlue Press has a vision to break the mold that the big publishers try to force writers into and become a trendsetter in the new age of publishing, where the relationship between publisher and writer is more of a partnership. To make a long story short, WildBlue Press has agreed to take me on as one of their first "rising stars" (their term, not mine). We have signed a contract and Repeat Offender will be published in the next few months. I'm eager to get a release date and pass it on to you--tentatively April 30th, 2015. You can pre-order your own digital copy for Kindle here. The takeaway from this post is two-fold: first, if you've ever had an interest in writing, but don't think you've got what it takes, start writing anyway, and make a plan on how to get better. I've offered a few really good examples, such as read everything you can get your hands on, and work with other writing professionals. Second, never give up on your plan. You can modify it, put it on hold, change directions, but never just give up. If you really want to be a writer, it's probably not because you thought you'd get rich. It's because you have a passion for something and want to share that with others. Don't go twenty years and say, "I wish I would have written that book."